How to re-enable webcam sharing in my browser? Usually you grant access to your webcam by selecting a camera device, and clicking on Share Selected Device from a pop-up window that will appear when following the webcam verification steps. If you have, for some reason, previously blocked access to your camera, you need to complete the following steps to re-enable it. At the top right click More Settings. Ask when a site requires access to your camera and microphone: Chrome alerts you whenever a site asks to use to your camera. 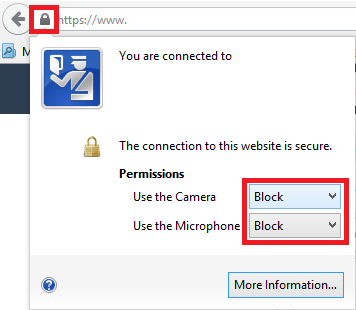 Do not allow sites to access your camera and microphone: Automatically deny any site requests to use your camera. 6.To remove permissions, you already granted to sites, click Manage exceptions. 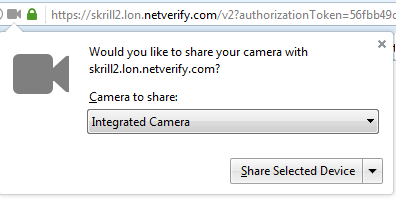 To re-enable the Webcam sharing option you must select Always Share. Please note that you may have to reload the page for the changes to take effect.